Dan Barratt joins the guest list for Pecorama. We are delighted to announce that Dan Barratt has kindly agreed to join us as a guest at the Exewing Sci-Fi Day on June 30th. In 2003, Dan appeared alongside Colin Baker’s Doctor in the Big Finish audio drama, Doctor Who & The Pirates directed by Barnaby Edwards. 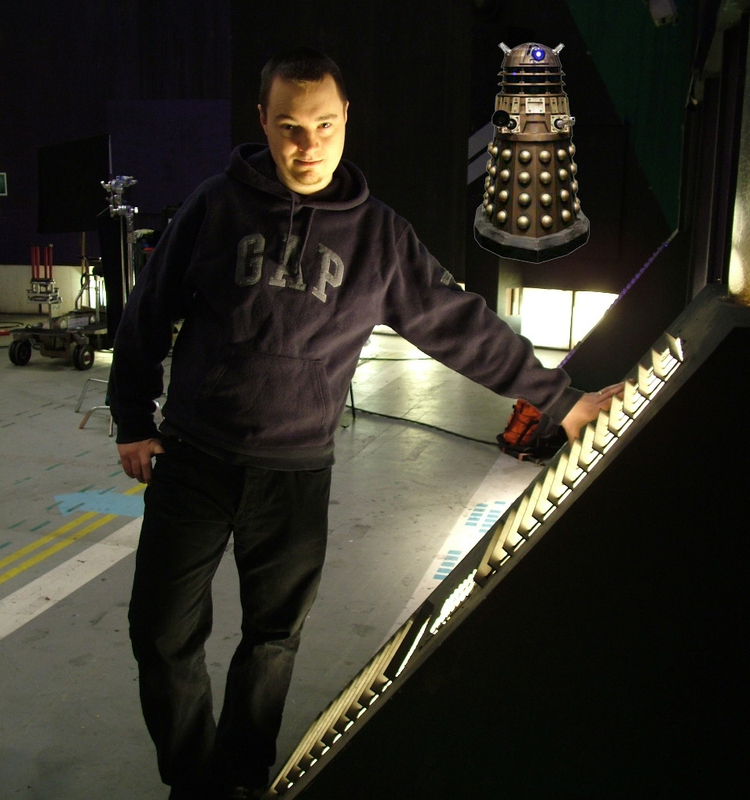 Dan also worked on both the 2005 and 2006 television series as a Dalek Operator on the stories Bad Wolf, Parting Of The Ways, Army Of Ghosts and Doomsday. Please join us in thanking Dan for kindly giving up his time to be with us, hopefully see you at Pecorama on Sunday June 30th. Come on down and find out what it was like to be one of the most menacing Sci-Fi Monsters ever to appear on our television, and we are not talking Chris Eccleston and David Tennant! Tickets are on sale now, details can be found here. Guest appearances are subject to work commitments.